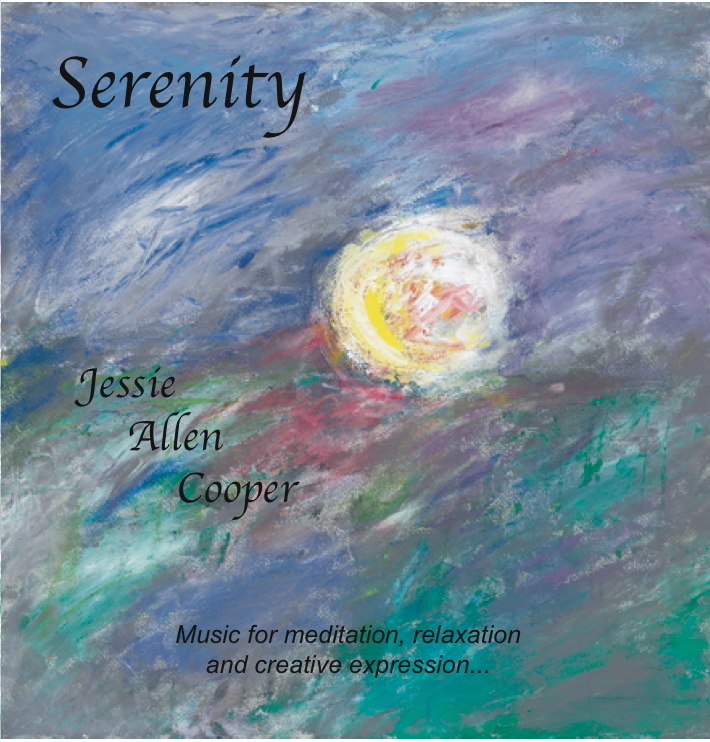 "The music on SERENITY helps the listener find that calm and soothing place the world around us constantly challenges. Many of the compositions use the harmonium. When I play this special antique pump organ-like instrument, I almost instantly enter a resourceful and relaxed stream of creation...."
-Jessie Allen Cooper: Composer/Producer for Serenity and music used in Creative Journal Expressive Arts Classes. "The CD SERENITY helps to create a relaxing and soothing experience that works great for my personal journaling as well as for participants in workshops and one-on-one sessions." -Marsha Nelson: Ph.D., Creative Journal Expressive Arts Teacher. Performance Credits: Jessie Allen Cooper: harmonium, synthesizer, environmental sounds, and soprano saxophone. Tim Ponzek: all keyboard parts on Peaceful Dreams and More Peaceful Dreams. Walking With A Friend (Julianna): Steve Reid, percussion; Larry Washington, cymbals; Rob Mullins, keyboards, arrangement, and orchestration; Tony Selvage, Violin. Special Thanks to founders Dr. Lucia Capacchione and Dr. Marsha Nelson for their tireless efforts and contributions to the healing Creative Journal Expressive Arts Community. Additional Thanks to family and friends for their support: Izzy Torrez, Tim Ponzek, Steve Katz, Ira Ingber, Jack Majdecki, Jerry Cooper, Jamie Puller, Scott O'Brien, & to Cris and Carla Danes for the harmonium. Special Thanks also to our Mother Earth... the Blue Planet... for the environmental sounds on this album. 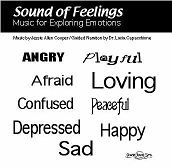 Writing Credits: Enchantment, Mountain, Peace, Rain, Serenity, Ocean, On the Path, A Silent Night - Cooper Sound Waves, ASCAP; Peaceful Dreams, More Peaceful Dreams, Opus From Us - JACS Sound Waves, BMI; Walking With a Friend (Julianna) - JACS Sound Waves, BMI and Vodid Music, BMI. Administration Direction: Cooper Sound Waves, ASCAP; JACS Sound Waves, BMI.